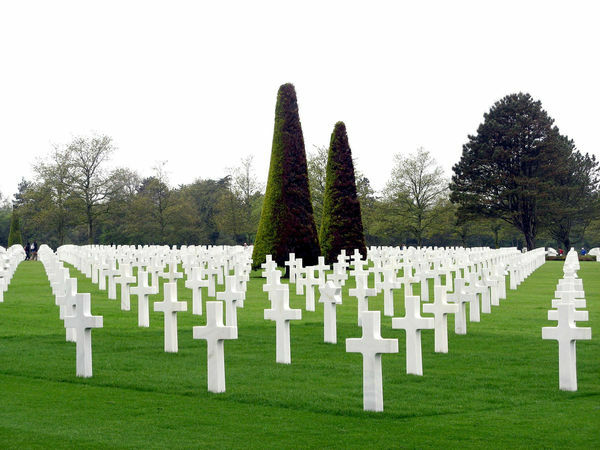 Though we're now several generations removed from the June 1944 Allied invasion of Normandy, the region's inhabitants haven't forgotten what the British, Canadian, and American troops and their families sacrificed during World War II. On one visit, while I paused for a minute in the small main square a Norman village, an elderly Frenchman approached me, asked if I was American, and then sang a few bars of "The Star-Spangled Banner." The region remains particularly friendly territory for Americans, and is an inspiring place to see museums, monuments, and cemeteries that pay tribute to the courage of the Allied armies. 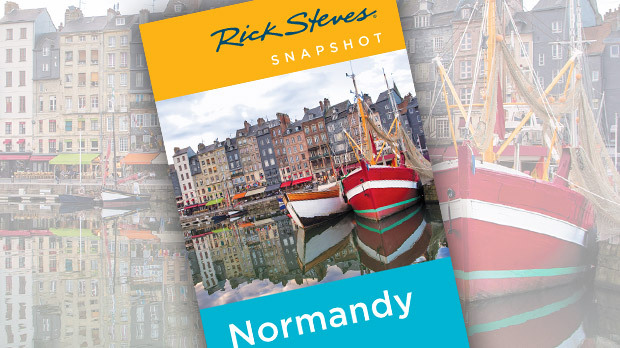 The Normandy sites are spread along 75 miles of coastline, and it takes at least one full day to explore them. 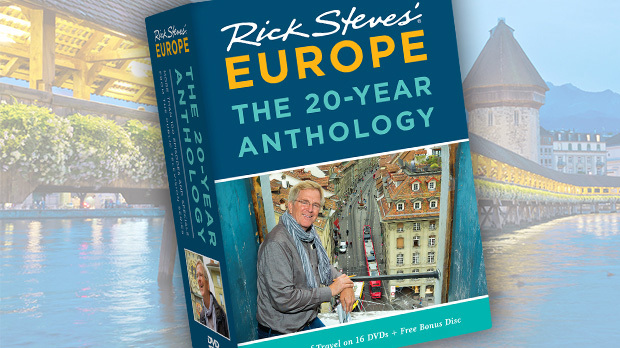 You can use a rental car or take one of the many minivan tours offered by small companies. As you travel the narrow lanes of this still-rural area, you'll get a taste of the boldness, complexity, and hardship of the Allied undertaking. A good place to start your tour is the touristy-but-fun town of Arromanches. At a makeshift harbor here, the Allies arrived in the largest amphibious attack ever. A visit to the small D-Day Landing Museum is the only way to fully appreciate how the harbor was built. In just 12 days, Allied forces positioned massive concrete platforms and built roads nearly a mile long, floating on pontoons. Within six more days, more than 300,000 troops, with all their equipment, had established a beachhead here. Remnants of the manmade harbor are still clearly visible in the water. Wander the beach among the concrete and rusted litter, and be thankful that all you hear are birds and surf. Just 10 miles west of Arromanches, the Longues-sur-Mer Gun Battery is worth a stop. Four German casemates hunker in bunkers, the only original coastal artillery remaining in place in the D-Day region. The beautiful views from the bluffs here were of strategic importance to the Germans, who kept watch over the English Channel from an observation bunker buried in the cliffside. The human cost of the invasion is inescapable at the nearby American Cemetery at St-Laurent. Crowning a bluff just above Omaha Beach, this was the eye of the D-Day storm. Nearly 10,000 brilliant white-marble tombstones glow in memory of the Americans who gave their lives to free Europe. At the cemetery's Visitors Center, computer terminals provide access to a database containing the story of each US serviceman who died in Normandy. Wander among the peaceful and poignant sea of headstones. Notice the names, home states, and dates of death inscribed on each. A path from the visitors center leads to steps down to the beach. The highest casualty rates of the invasion occurred here. Filled with holiday-makers in good weather, the beach is tranquil now. A walk on Omaha Beach is a powerful experience, as you struggle to reconcile the quiet beauty of the setting with the horrible toll of that day. The most heavily fortified German position on the coast was farther west, at Pointe du Hoc. The Allies bombed it to smithereens before sending 300 handpicked US Army Rangers to assault its cliffs, using grappling hooks and ladders from London fire departments. Visitors today can see the smashed German bunkers and bomb craters that only hint at the carnage and chaos that occurred here. 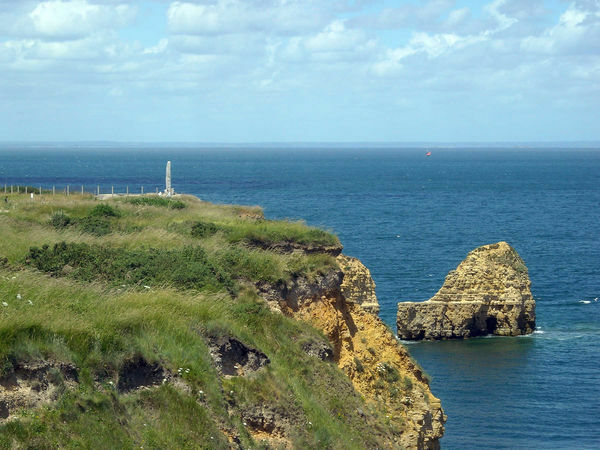 Picnicking is forbidden at Pointe du Hoc — the bombed bunkers are considered gravesites. To cap your Normandy beach experience, continue east to the Utah Beach Landing Museum, the best museum on the D-Day beaches. Built around the remains of a concrete German bunker still nestled in the sand dunes on Utah Beach, this thorough yet manageable museum pieces together the details of D-Day in a series of fascinating exhibits and displays. Its highlights are the exhibits of innovative invasion equipment and videos demonstrating how it worked. For the Allied landings to succeed, many coordinated tasks had to be accomplished: Paratroopers had to be dropped inland, the resistance had to disable bridges and cut communications, bombers had to deliver payloads on target and on time, the infantry had to land safely on the beaches, and supplies had to follow the infantry closely. The museum's stunning grand finale is the large, glassed-in room overlooking the beach, with Pointe du Hoc looming to your right. From here, you can peer over re-created German trenches and feel what it must have felt like to be behind enemy lines. Many German bunkers remain buried in the dunes. If you have at least a half-day more time, stop at the Memorial Museum in Caen, the first big city freed by the Allies. Officially named the "Memorial for Peace," it puts the Battle for Normandy into a broader context. End your Memorial Museum visit with a walk through the US Armed Forces Memorial Garden. Children enjoy this memorial as a playground, and their presence captures the spirit of the quote etched in the pavement: "From the heart of our land flows the blood of our youth, given to you in the name of freedom."